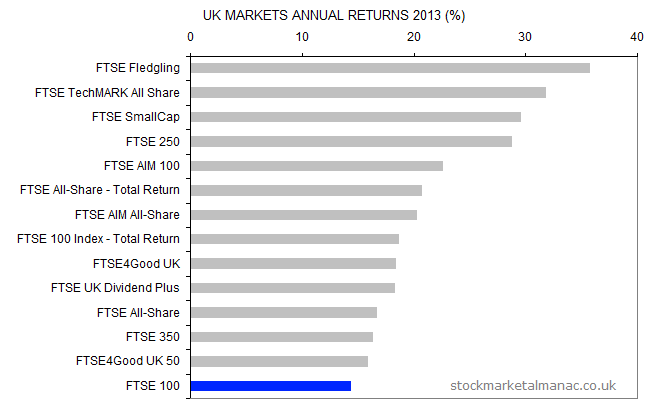 In 2013 the FTSE All-Share Index rose 16.7%. 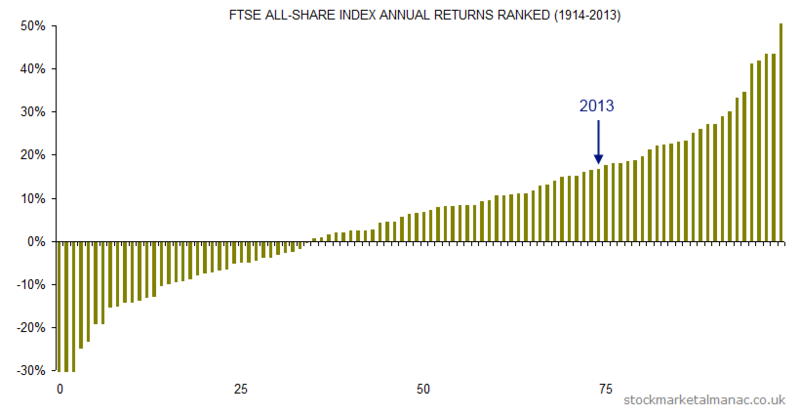 This was the 26th strongest performance for the UK equity market in the past 100 years. NB. The Y-axis in the above chart has been limited to the range -30% to +50% thereby truncating the three years when the market fell more than 30% and the one year when it rose more than 50%. 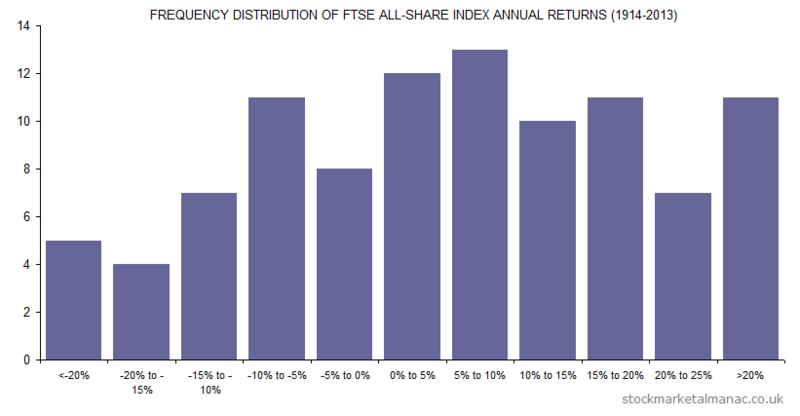 The following chart shows the frequency distribution of the annual returns of the FTSE All-Share Index for the 100 years since 1914. In the 100-year period, 11 years (11%) had returns in the range 15% to 20%. 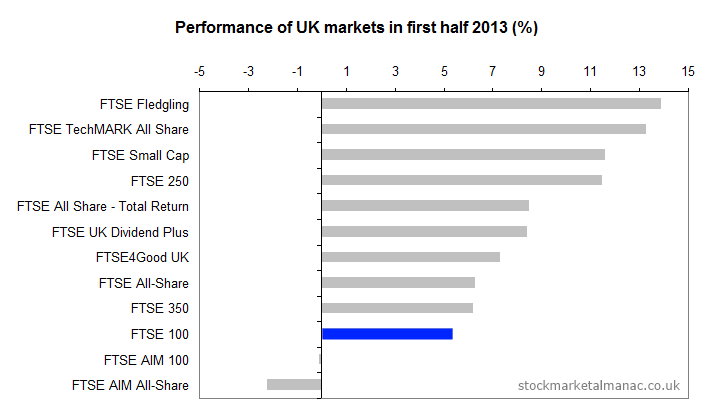 The following chart shows the performance of the main UK stock market indices in the first six months of 2013. 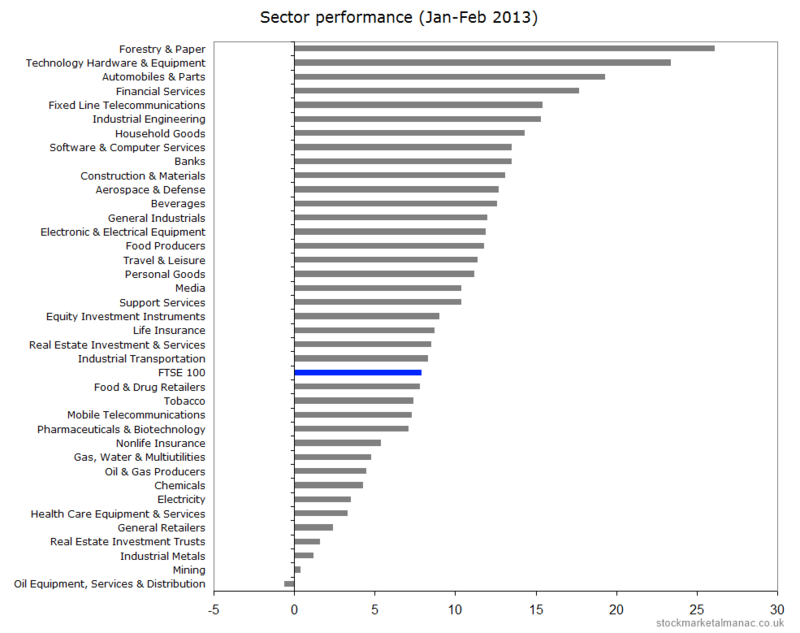 The following chart shows the performance of the FTSE 350 sectors in the first two months of 2013. 19 sectors increased by over 10% in the period. The only sector that did not rise in the two-month period was Oil Equipment, Services & Distribution.